Enter your email address below to receive a notification when Cassette Club starts accepting new sign-ups! 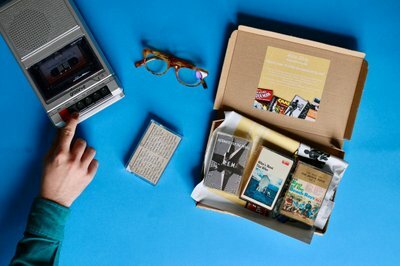 Enter your email address below to receive a notification when Cassette Club is accepting new sign-ups again. All of our boxes ship on the 14th of each month. Orders renew on the 24th of each month, giving you plenty of time to enjoy your box before you renew for the next month. Any orders which are placed after the 9th of each month will ship the following month. We operate a 15-day cut-off period- and you will not be billed twice if you do this. 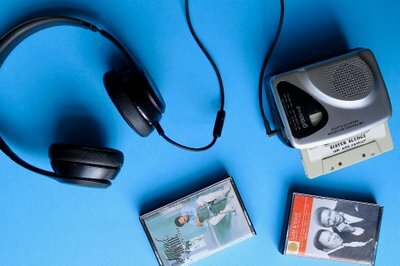 Do you love clicking a cassette into a walkman? Who doesn't? 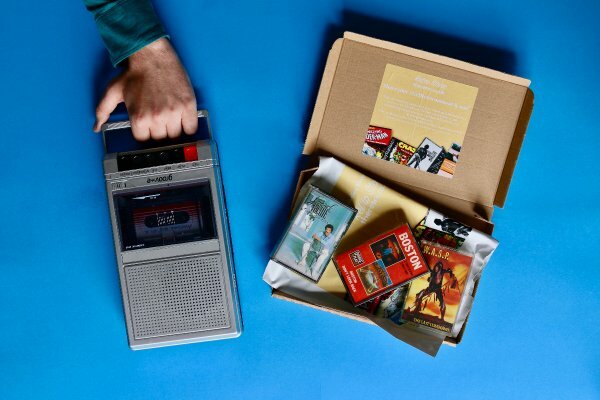 Whether you’re an enthusiast looking to grow your collection, or a total newbie looking to discover the classics, our hand-picked monthly cassette box is a winner. 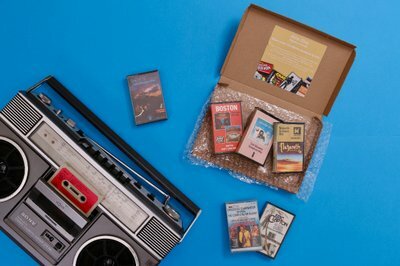 Get 3 hand-picked cassette tapes delivered every month. Part of The Retro Store Subscription Club. 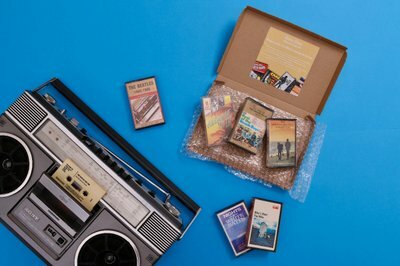 Whether you’re an enthusiast looking to grow your collection, or a total newbie looking to discover the classics, our hand-picked monthly cassette box is a winner. Just select your favourite genres from the wide variety available, and we’ll send tapes that you’ll love! With the Monthly Cassette Club, you get vintage cassettes (none of this reissue nonsense) to hear music as it was originally intended to. I got this for my son who loves music. He loves getting the boxes and enjoys the tapes. I just sat down with him so he could pick the categories and we reordered. I love it! The boxes do come a bit late but it's made up for with cassettes that have obviously been selected with a lot of thought and I've been impressed with everything I've been given. Definitely worth it if you're patient!